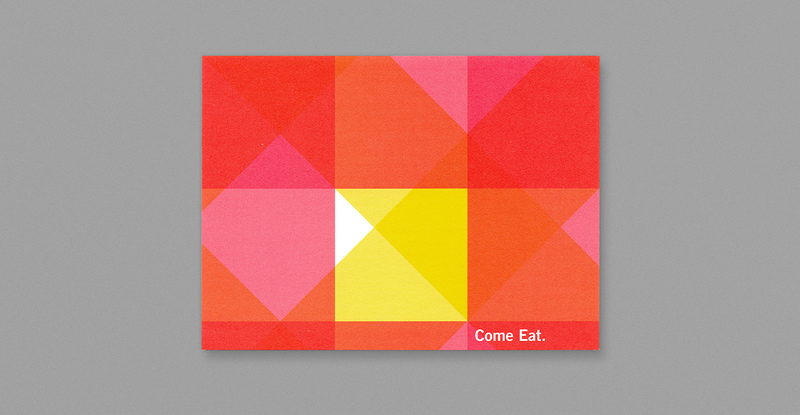 During his time at Dwell, Shawn Hazen developed a distinct overprinted, 2-color look for their invitations. 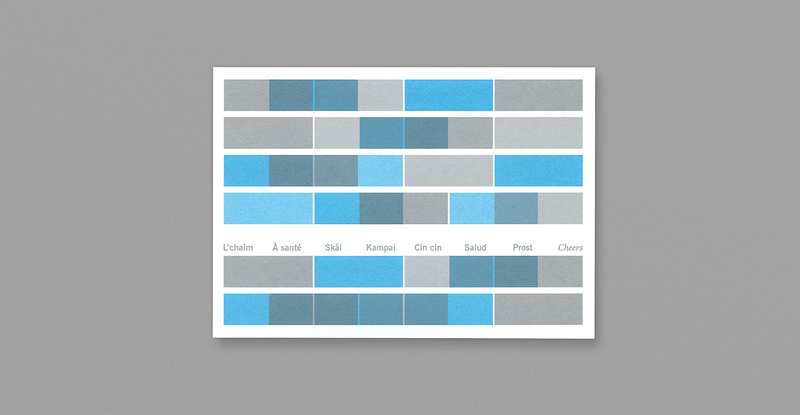 It was inspired by mid-century printing methods, but also budgetary realities. 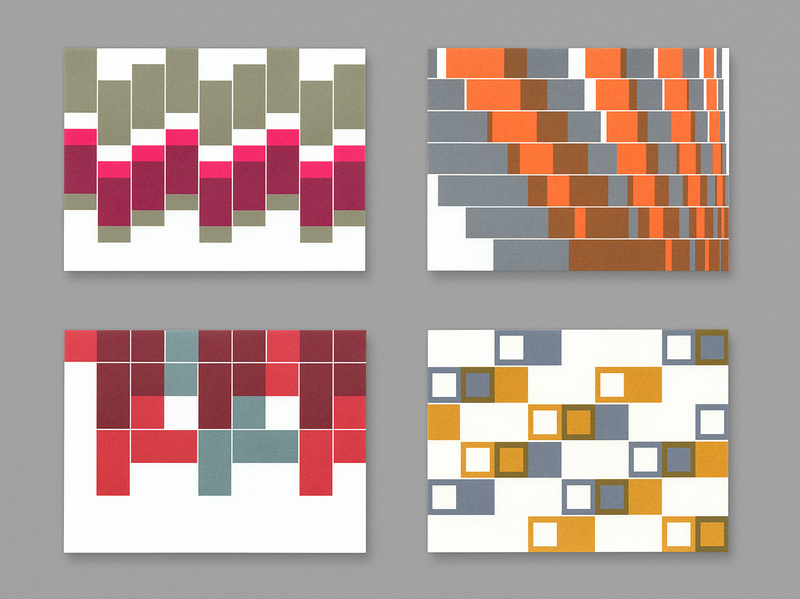 The first image shows a gift set of notecards exploiting the technique. Two of each design, and a personal message, were contained in a custom folding package. 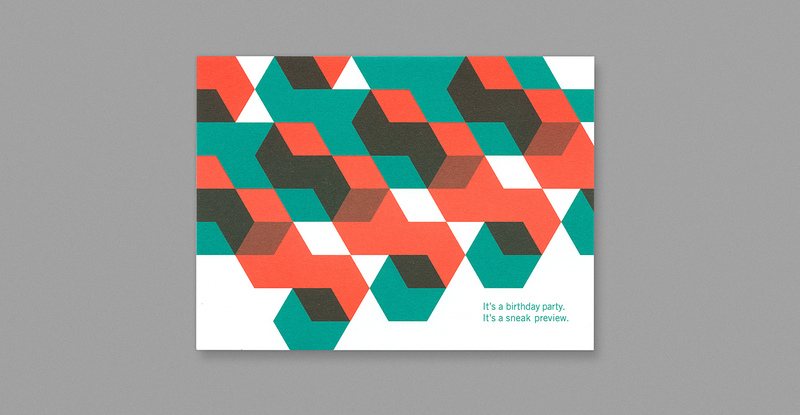 The other images are invites to various events.